Is Grand Theft Auto V Being Delayed Until Xbox 720 and Playstation 4 Release? When Rockstar Games unveiled the first gameplay trailer for Grand Theft Auto V late last year, everyone was convinced that the game would be showing up sometime in 2012, most likely in the third or fourth quarter of the year. 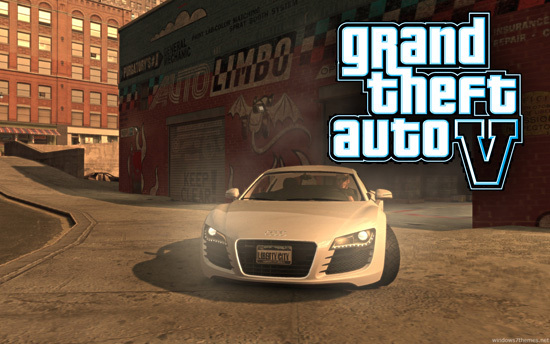 In fact, GTA V even made several “most anticpated games of 2012” lists, even managing to top several of them. However, with just a few months left to this year and still no word on an official release date, people are now speculating that the next entry in the well-loved (or maligned, depending on who you ask) GTA franchise is actually headed to the Xbox 720 and the Playstation 4. Last week, we were bombarded with several awesome in-game images from Grand Theft Auto V. Based on these, it looks like a lot of attention is being placed on the graphics. According to reports, Rockstar is promising more in the weeks to come. But still no word on a release date. According to Game Rant, Rockstar has pulled in other resources to help develop the Grand Theft Auto V. The Red Dead Redemption team and 2K Czech, developers of Mafia 2, are now supposedly helping hammer out the game but this also means that there is no way the game is going to make the previously rumored October release date. While an early 2013 release could be possible, especially with the combined resources, the question now is would it still make sense for Rockstar to dump such a highly anticipated game during that time of year? At this point, it makes more sense for them to schedule the release together with the Xbox 720 and the Playstation 4. Both devices are expected to hit the shelves during the 2013 holiday season. In fact, it might do Rockstar some good to come up with a deal with either Sony or Microsoft to make Grand Theft Auto V a launch title for either the Xbox 720 or the Playstation 4. Should this happen, it’s almost certain that whichever console it ends up with will have an edge over the other, especially with Grand Theft Auto’s built-in fanbase. Are you excited to get your hands on Grand Theft Auto V? Are you willing to wait until the Xbox 720 and the Playstation 4 launches? Let us know in the comments below!